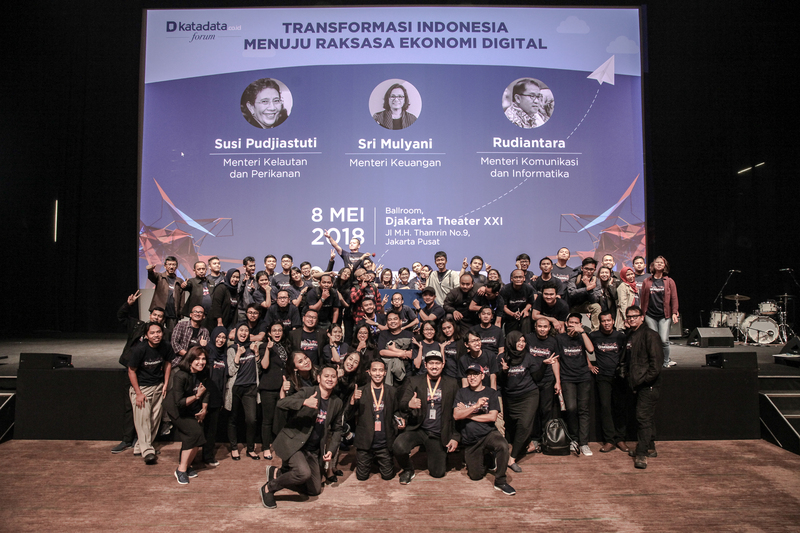 JAKARTA, 17 AUGUST 2018 – Katadata.co.id, an Indonesian media, data and online research company in the field of economics and business, earlier today announced has successfully raised funding led by East Ventures. Existing investors including Emerging Media Opportunity Fund (EMOF) and Lin Che Wei, a prominent financial and public policy analyst in Indonesia, also participating in this third round of investment. The fresh fund will be used for data product development utilizing machine learning technology. Katadata presents in-depth economic and business information that is supported by data and analysis. The company always strive to present the economic and business content in a simple and attractive way by using visual display of infographics and videos for easy public comprehension. Since its establishment in 2012, news and infographic content produced by Katadata.co.id and displayed at the website, as well at databoks.co.id, has been for a long time a point of reference for policymakers and international media. Managing Partner of East Ventures, Willson Cuaca, says, “The fact that the internet provides unprecedented convenience across various business sectors is actually a double-edged sword. With fast moving digital media all around us, much of today’s news coverage is not properly vetted and fact-checked, and yet, it is widely disseminated nonetheless. A modernized ‘news authority’ is required to bridge the gap between our current technology and our societal need for reliable reporting. By combining traditional journalistic principles with new tech-driven distribution methods, we can arrive at a better future. East Ventures has high hopes for Katadata to become the role model for long-form news media in Indonesia”. Lin Che Wei, Co-founder and also one of Katadata’s initial investor, says,” We are optimistic that the new fund injection from early investors and venture capitals will strengthen Katadata's position as the leading digital media in data-driven economy and business, as well strengthen the company’s capital structure to accelerate the process of digitizing, artificial intelligence and big data for Katadata. We have no doubt Katadata will be the most trusted and business-focused digital media in Indonesia". MDIF Chief Executive Officer, Harlan Mandel, says, “We are happy to participate in this new funding round. Katadata is one of the most dynamic media companies in Indonesia. Therefore, MDIF will continue to support the development made by Katadata.co.id. The company has demonstrated they have the ambition and talent to excel in the market by building a business on the values of credibility, accuracy, truth, and principles that align perfectly with our mission goals". Katadata.co.id is an economics and business online media, data and research firm. Set up on 1 April 2012 in Jakarta, Katadata publishes in-depth news, information, data and research findings for businesses and policymakers, but is packaged in a simple and attractive way to make it easy for the public to understand. The Katadata team consists of journalists and researchers with experience in energy, finance, macroeconomics, trade, and infrastructure.